After decades of negotiations, the body of an Israeli soldier killed in the 1982 Lebanon War has been returned to Israel, the Israel Defense Forces announced on Wednesday. Zachary Baumel’s remains were flown back on an El Al airplane, IDF spokesperson Lt. Col. Jonathan Conricus told reporters. Conricus said that Baumel’s family has been informed of the development. 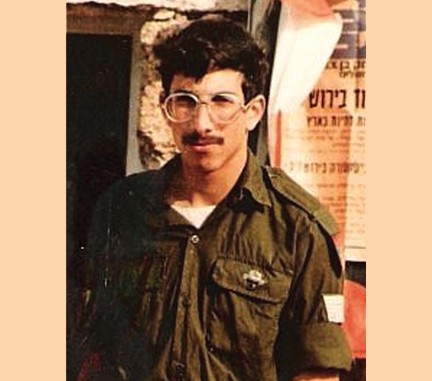 Baumel was a Brooklyn-born IDF tank commander who moved to Israel in 1970 with his family. He was 21 when he went to Lebanon in 1982, and was one of three Israeli soldiers whose remains were never found in the aftermath of the Battle of Sultan Yacoub between Israel and Syria in Lebanon’s Bekaa Valley. He went missing at the beginning of the Lebanon War on June 10, 1982, along with Israeli Sergeants Yehuda Katz and Tzvika Feldman. In a live statement broadcast in Israel, Prime Minister Benjamin Netanyahu said that in addition to recovering Baumel’s tank jumpsuit, his tzitzit were also recovered.